Real Vampires May Not Be What You Thought! For centuries people have always viewed vampires as monsters! They can only go outside at night, be killed with a stake through the heart, harmed by garlic and holy water. They have no reflections, sleep in coffins and drain humans of all their blood to stay alive. As Alex Keen is told about the past of Geannifer Whitlence he quickly learns that all of the myths, legends and stories about vampires that we were told were all just lies covering up the truth. Even the name they go by; Vampires! They’re called Eidelon, they live out their lives every day alongside the human race with many similarities. They have different races/clans, they live with rulers, leaders and followers. They even have laws and a legal system of their own. The most forbidden law, is to not kill anyone from the human race. While they do have to feed off of humans to live, they do not have to kill them in order to do so. In present day Geannifer Whitlence is an Eidelon in the Azeron clan possessing many talents and abilities that no other Eidelon is capable of. 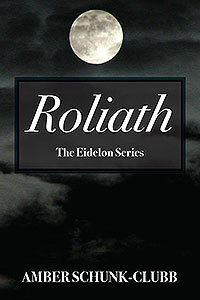 Roliath is in a sense an origin story of how she became who she is today. How she met Devon, her life-long partner since Roliath’s beginning; Andrea, her best friend and progeny and all of the Eidelon that still travel with her in present day and how their life-long battle with the Osirians began. 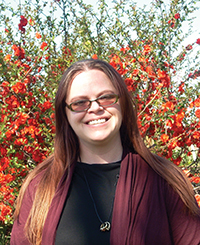 Amber Schunk-Clubb was born in Colorado where she discovered her love for writing. After sixteen years she moved to California and finished school, continuing to work on the world of Eidelon off and on for the next eleven years. Then she found love in Missouri giving her the final push.